We talk a lot about health in Straight, No Chaser. We also try to help you recognize potentially troubling signs and symptoms. It’s appropriate to do so from the bottom up because so much weight is placed on your feet (no pun intended). Also, many people take their feet for granted and allow different types of conditions to progress before doing anything about them. Today’s blog, done in conjunction with the American Podiatric Medical Association, aims to give you a working knowledge of conditions that affect your feet. Over the next few weeks, please use the posts on some of the individual topics mentioned below as a starting point for understanding various entities, conditions and diseases that relate to your feet. Arthritis is inflammation of your joints, which are the spaces where various bones meet. The inflammation typically leads to pain, swelling, warmth and redness. As we age or as disease strikes, we are even more subject to arthritis in our feet, in the same way other joints are affected, because each foot has nearly three-dozen joints (33 to be exact). Straight, No Chaser has previously addressed the treatment of arthritis here. Osteophytes (aka bone spurs) are bony projections that extend along the edges of bones. The main cause of bone spurs is the wear-and-tear damage associated with osteoarthritis (degenerative joint disease). High Blood Pressure Your feet are especially susceptible to the effects of hypertension (aka high blood pressure), because they represent the most distant point from your heart. As your heart’s function worsens–a manifestation of hypertension–your feet suffer from the effects of poor circulation (e.g., receiving suboptimal amounts of the oxygen and nutrients supplied by healthy blood). Check here for the Straight, No Chaser review of high blood pressure. Peripheral Arterial Disease When fatty deposits (i.e., plaques) partially or completely block our arteries, the blood supply to various organs is compromised. This becomes even worse as the arteries become hardened with prolonged exposure. With the feet’s location being as far from the heart as it is, they are at higher risk. We have described diabetic foot ulcers here in Straight, No Chaser. You must be aware of the risks of losing limbs if you’re diabetic, as this occurs in approximately 15% of diabetics. Diabetic (Peripheral) Neuropathy The effects of high blood glucose (sugar) levels include damage of our peripheral nerves, called peripheral neuropathy. This phenomenon is most prevalent in the fingers and toes. These injuries compromise the ability of the feet to support and move the body. A sprain is an injury to the soft tissue of a structure such as the foot. A strain (aka a pulled muscle) is an injury that results from excessive stretching and/or tearing of a structure’s supportive muscles. A fracture is a disruption (e.g., break) in a bone. If you’ve ever heard the term “pump bump,” you know what Haglund’s Deformity is. This bony enlargement on the back of the heel often occurs in women who wear pumps. Heel Pain The heel bone (the calcaneus) is the largest of the 26 bones in the human foot. Due to size and stress, it is especially susceptible to injury. Tendinitis Tendinitis is the inflammation of a tendon prior to its disruption and represents one of the most common causes of foot or ankle pain. Plantar fasciitis is inflammation of the tissue that connects the heel bone to the toes and creates the arch of the foot. This occurs when the thick band of tissue on the bottom of the foot is overstretched or overused. Plantar fasciitis is usually quite painful, and that pain makes walking difficult. This fungal infection is the result of conditions favorable to fungal growth: dark, warm and humid conditions. It itches and hurts, but treatment is readily available when preventative measures don’t control it. Irritation to a part of the foot will prompt the body to form thicker skin to prevent irritation and injury. These present as corns and calluses. We have discussed psoriasis here in Straight, No Chaser. It represents abnormally rapid production and replacement of skin cells. This causes a build up of dead cells on the surface that is recognized as scaly, dry and silver patches. Although more common on exposed areas of the body, skin cancer can develop anywhere, including on the feet. Skin cancers of the feet tend to present as recurrent cracking, bleeding or ulceration more so than with pain. Sweaty Feet Hyperhidrosis is the medical term for excessive sweating. This often presents on the palms of the hands and the soles of the feet. When warts present on the feet, they tend to be painful. These are fleshy manifestations of a virus infection. 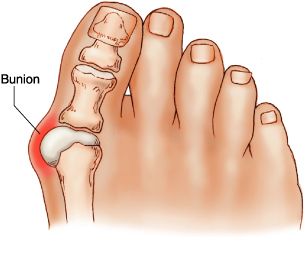 Bunions occur at the base of the great toe and is an enlargement of the joint that forms when the bone or tissue actually moves out of place. A hammer toe is a bending (contracture) of the toe at its first joint, (i.e., the proximal interphalangeal joint). This produces an appearance of an upside-down V.
A neuroma (aka “pinched nerve”) is a non-cancerous growth of nerve tissue, most commonly located between the 3rd and 4th toes (the two next to your pinkie toes). Given that this involves growth of nerve tissue, it shouldn’t surprise you that neuromas are painful. Ingrown Toenails Ingrown toenails represent the most common nail impairment and involve a condition when the corners of the nail dig painfully into your soft tissue, producing signs of infection and inflammation. When you notice an ongoing change in the color and quality of your toenails, you should suspect toenail fungus. 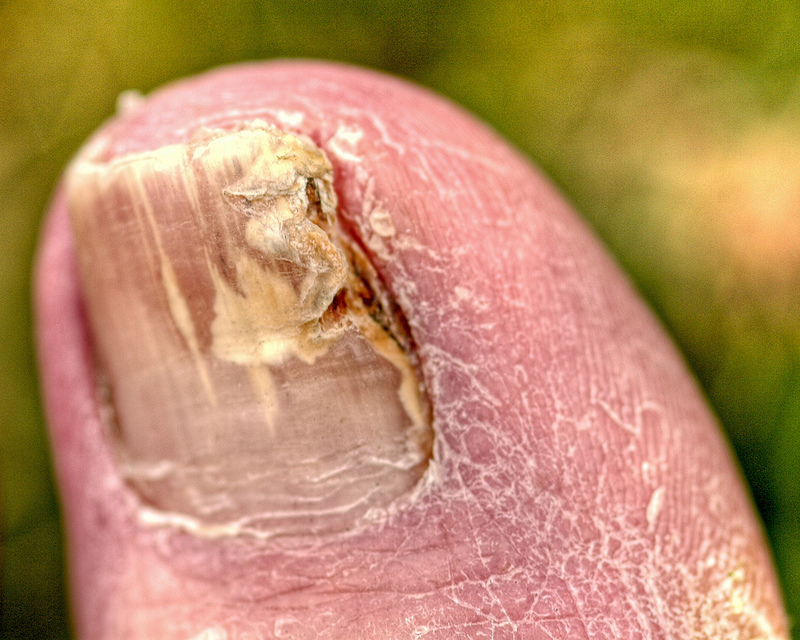 These infections occur under the nail’s surface and require antifungal medications. Shoe Inserts Inserts are simply foot supports that are placed inside your shoes. Shoe inserts don’t require a prescription. 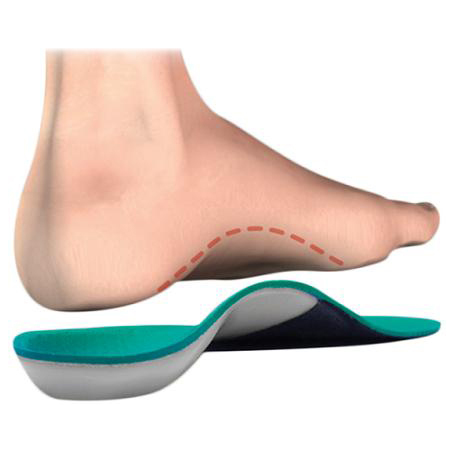 Orthotics are typically custom-designed and prescribed devices designed to support and comfort your feet.